Most days Ramsay can be seen shuffling along the sand, dragging not raising his feet clad in green Wellington boots. They leave tracks like the skid of skates, jagged parallel lines along the edge of the high water mark, that mirror the blotchy line of seaweed left by the last tide. 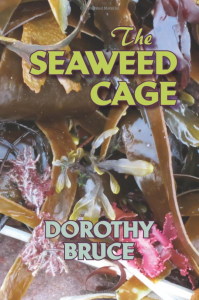 The net of bladder wrack with its sacks ripe for popping with a fingernail, like plastic wrapping material, is interwoven with kelp and other leathery fronds and straps, or delicate algae with diaphanous or fernlike contours. 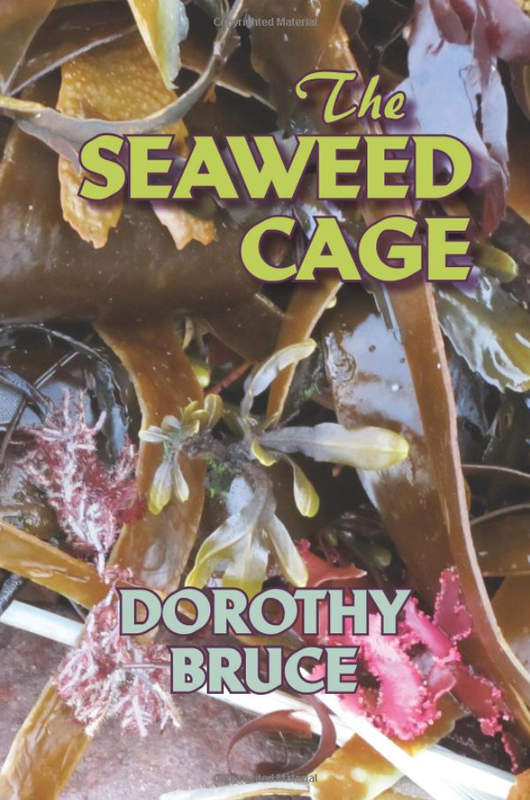 Their smell assails his nostrils, clean, tangy, and reminds these are not from earth but from the depths of the sea, imbued with its mystery, its strange attraction. From the tangle of seaweeds, shells and feathers poke out rusty tins, bits of crab, polystyrene cups, a dead sea urchin, drink cans, strands of turquoise and orange fishing nets, plastic packaging from foodstuffs, crumpled cigarette packets, broken plates with Victorian designs, the top from a flask, a canvas shoe, chunks of wood (adorned with limpets and bolts) from old piers, polythene bags, pieces of masts, oars, pallets, branches or roots of trees, twisted and gnarled by time, bleached by salt and sun. A museum that tells a story of our lives and what we discard on beaches. And what we jettison at sea for its swell to hurl back to land like a spat grape pip. ‘I rather think the police have thought of that and had a good look around,’ responds her husband who remembers his feeling of the old seadog’s ghost on the prowl outside. Fanciful, or prompted by an actual presence? No. Jess would have alerted him to an unknown person in the garden. He decides not to mention it. No point in further upsetting Kat. ‘Ah, Mrs Dunn,’ says a voice. Four pair of eyes swivel towards the speaker. A man stands in the doorway, brown leather jacket stretched over a pink shirt over a beer belly that bulges over the belt of his jeans. The bottom of the legs fray over boots with pointed toes and look suspiciously like cowboy boots. At the other end brown hair shot with grey flops over a face tanned and creased like an old shoe, a stalk of reed suctioned onto the inside of his mouth droops over his full lower lip. ‘What d’you mean? What’s being said?’ Ming’s bounce is suddenly taut. His look of amiable bonhomie has disappeared with the flick of a conjurer’s wand, replaced by a bland mask beneath which anxious concern squints.